The trust delivered to Grupo Casamayor as a result of the relationship held with the real estate sector for the last 45 years, has allowed it to dispose of a prime level access to investments opportunities over extant assets. In this way and depending on the investor profle, Grupo Casamayor it's capable of delivering tailored opportunities with the objective of establishing a bilateral negotiation, avoid bankruptcy processes and consequently innecesary extra costs of money and time. Grupo Casamayor provides you with a specialized network of professional personnel that will advise you throughout the process. Starting from the assets selection, decision-making and closing of the operation, until the after-sale service in order to optimize your investment. This also includes searching of traders in case the asset doesn't have it and/or the analysis of the lease contract for leased assets. 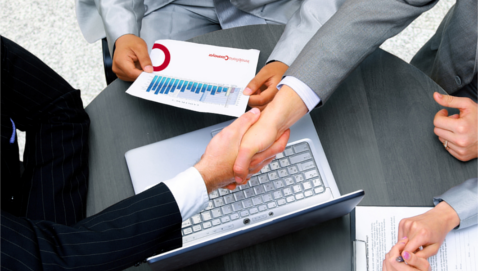 Acting as indispensal core value for generating maximum trust and professionalism within its activities, Grupo Casamayor at all times will guarantee each client with confidentiality and personalisation, achieving in this way, the empowerment of the benefits and the reduction of inconvenients in the investment operation. The strong relationship with all type of traders coming from companies in expansion process (Food chains, Textile, Food business, Perfumeries, etc.) up to financial entities without patrimonial nature but searching for leases, allow us to tailor each operation, nationwide. All of our clients manage to obtain a solid profitability with a first-level tenant. Grupo Casamayor delivers you a wide range of real estate related products, especially adapted to costumers needs. Nevertheless we don't restrict on offering products currently in the market but we also generate operations from the very beginning. We have opportunities with strong contractual mandatory rules where assurance for our investors and the lease contract are the key features. We also provide high quality assets in prime zones with lower profitability but providing lesser risk and higher chance of being elegible due to its location and reputation. Clear examples are Serrano St. in Madrid, Paseo de Gracia in Barcelona or Maisonnave Av. in Alicante. This investor was looking for charming and profitable assets. This building was offering all the benefits accordingly. * Management for the retaining in Alicante of the Famosa Toys headquarters. 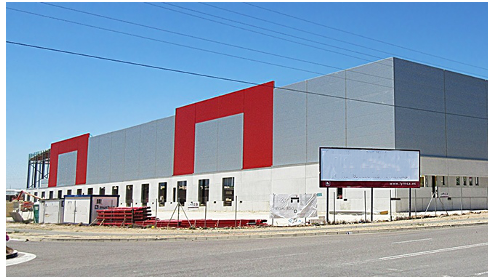 We offered a constructor-type investor the opportunity of acquire well located industrial land with the purpose of building a logistic warehouse in exchange of guaranteed profitability. This was made possible thanks to the lease agreement with a leading Company such as Famosa. In addition the fact of building a warehouse was giving the investor an additional profitability.